With one seedling from the first batch making an emergence, and the poly tunnel being tidied up. 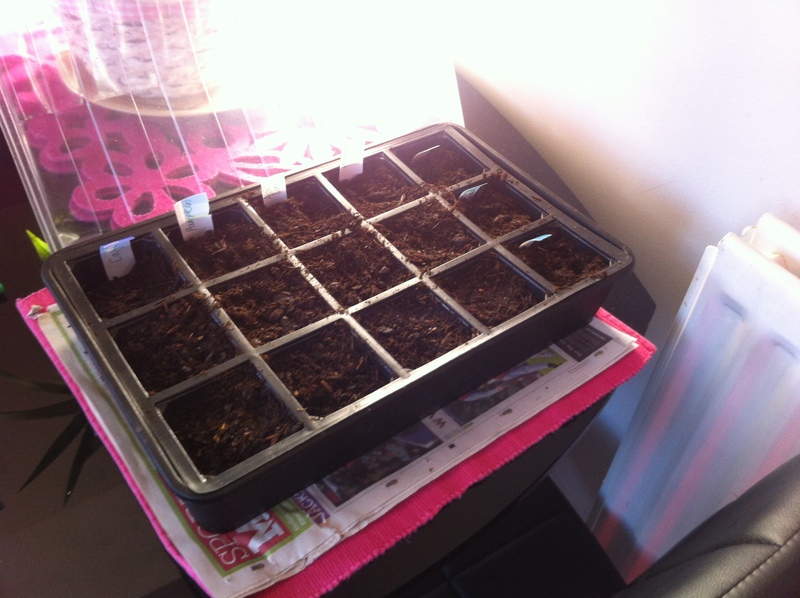 A second batch of experimental chillies have been sown today. Compost was placed into the modules, moistened and kept at room temperature for a while to warm up. There are five seeds per module compartment for most of the above seeds. This was all then placed into an unheated propogator, secured with elastic bands so nothing escapes. Placed then in a warm place. Have been reflecting a lot on what went wrong with last years crop. I suspect I was too kind. In the past, I have grown chillies, and been cruel to them. Constrained their roots, and kept them in pots. We had lots of lovely leafy plants, last year, but no fruit. With constrained roots, I had fruit, and happy healthy plants. This will translate to the transition to the poly, will keep the plants in pots for as long as possible. I am trying again with the chocolate and orange habanero. 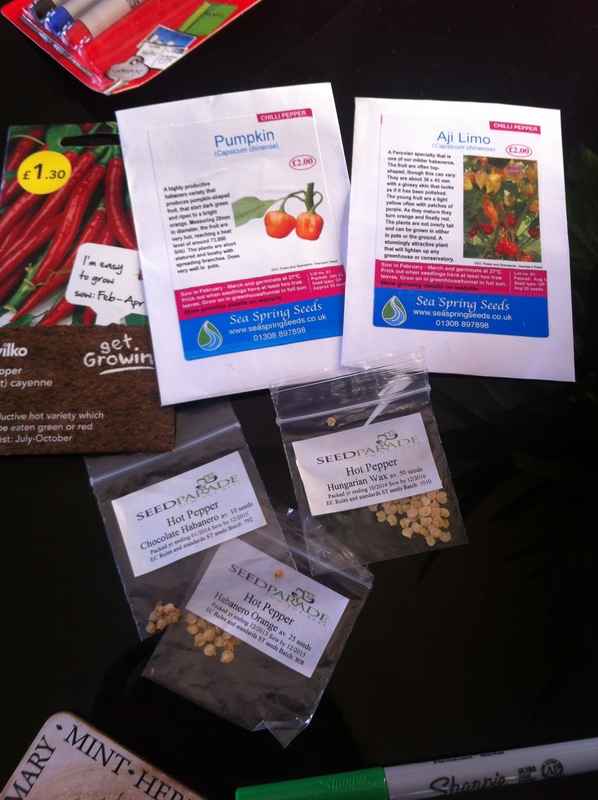 The cayenne chilli was the first I ever grew, so I am hoping to replicate some of that success that I had many years ago. Chillies can take a while, and that is something of a test of patience. No super hot dorset and bengle naga as of yet. Might give that a rest for a bit.